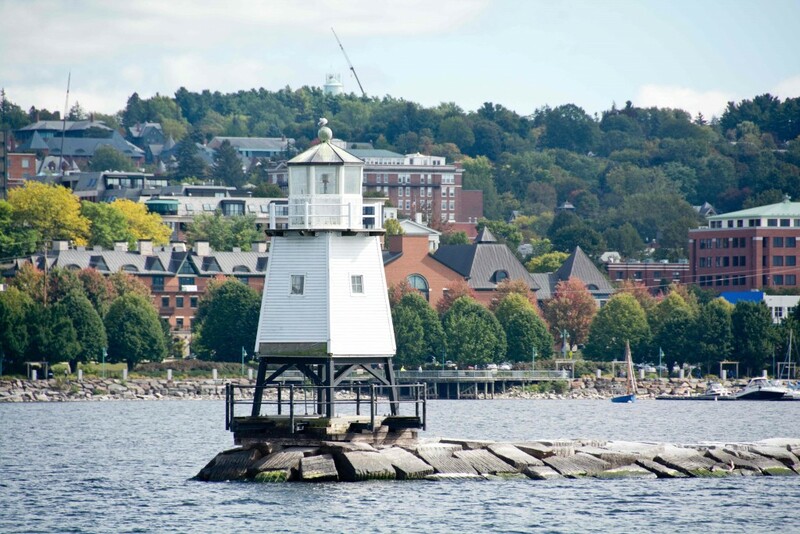 Burlington is the largest city in Vermont, and no more than 45 miles south of the United States – Canada border. However, in addition to its close proximity to a hot Canadian market, the entire Vermont housing sector appears to be in a great position. A mid-year market report from Coldwell Banker Hickok and Boardman Realty for Northwest Vermont suggests that the entire state is ready to take the recovery and run with it. “The type of healthy sales and pricing trends that were typical before the recession are returning to our region in 2015, thanks to a rebounding local economy, historically low interest rates, and a new influx of first-time homebuyers,” the report stated. The latest market report issued by the National Association of Realtors (NAR) puts the current median home price in Burlington at just over $276,000. While that is well ahead of the national average ($203,867), appreciation rates have really fallen off. Over the course of the last three years, homes in the Burlington real estate market have appreciated by as much as 12.2 percent. However, the last year has seen the same rate drop just below zero percent (-0.1%). The national average, on the other hand, has seen home prices continue to rise. In the last three years, national home prices have risen 28.8 percent. In the last year alone, national prices have increased 6.7 percent. The listings and properties in Burlington are only a part of the 259,761 properties and 13,235 homes for sale in Vermont. As a result, the average home price and average home value of Burlington impacts the average home price $198,500 and average sale price $205,051 for all of Vermont. Sales jumped 13.7 percent in the first six months of the year, with more sales in all four counties — Chittenden, Franklin, Addison and Grand Isle. Having said that, the Burlington real estate market is considered to be a soft buyer’s market. Good values on homes are still available, as the number of homes listed for sale is greater than the number of homes being sold. Those who know where to look can find great deals. The rental market, on the other hand, is a bit more competitive. Rental property is not quite as readily available as houses that are for sale. On top of that, demand is very high. However, where you would have expected prices to rise, rents have actually decreased 12 percent over the last three months. Even with the decline, rents are three percent higher in Burlington than the rest of the county, and nine percent higher than the state average of $1,793. The Burlington real estate market saw impressive gains between 2010 and 2012, but those gains have not kept pace with the economy. Price trends in the last three years have undercut the steady post-recession home equity growth, despite many homeowners having paid down their principle. Homes purchased in the Burlington housing market one year ago have appreciated, on average, by $3,881. The national average was $15,753 over the same period. Homes purchased in the Burlington housing market three years ago have appreciated, on average, by $42,589. The national average was $53,565 over the same period. Homes purchased in the Burlington housing market five years ago have appreciated, on average, by $49,463. The national average was $47,444 over the same period. While home price appreciation in the Burlington real estate market may not be what it used to, the area certainly has one thing working in its favor: employment. Burlington’s current unemployment rate is better than the national average and improving. Earlier this year, unemployment numbers were at 2.9 percent, well below the national average of 5.5 percent. Even the area’s job growth rate is stronger than the rest of the country. The 1-year job growth rate in Burlington is 2.4 percent, whereas the national average is 2.1 percent. In other words, local employment growth in Burlington is strong compared to other markets. The rate of new housing construction is probably not where most would like to see it. While the current level of construction is 0.6 percent above the long-term average, it has a lot of ground to make up. Single-family home construction, in particular, could use some stimulation. Single-family home permits have actually declined by as much as 12.7 percent in the last year. The national average saw single-family housing permits climb a modest 3.1 percent over the same time. The Burlington real estate market is still very affordable, even with home prices well above the national average. In fact, Burlington real estate is more affordable than most markets across the country. Whereas homeowners in Burlington have gotten used to spending about 11.8 percent of their income on monthly mortgage payments, the rest of the country averages about 14.2 percent. Essentially, people spend less of their paychecks on housing costs in Burlington. At the beginning of the year, the Burlington real estate market hit a rough patch. The appreciation rate dropped into the red, and there wasn’t a lot of demand for the available inventory. However, the tides have changed. With the end of the year rapidly approaching, Burlington has turned the corner. Prices are inching upwards and more sales are starting to hit the market. Signs are pointing to a sustainable market.